As the bliss of fall ensues, it can easy to be swept into the swirl of flannel, pleasant, and pumpkin-flavored drinks. But as you know, winter’s chill lurks around the corner and you have to be sure that your HVAC system is working properly to ensure warm, cozy nights. Conducting a HVAC system maintenance test while the fall months are still around. These five maintenance suggestions will help you prep your home for the long east coast winters. Properly working ducts are essential for getting air into your home. To check a potentially faulty duct, turn your system on and listen for any escaping air around your ducts. If you believe there is a leak, you should schedule an inspection from a HVAC professional. Dirt vents prevents air from effectively circulating in your home. Clean any hair, dust, and debris from your vents. Also, make sure there is no furniture blocking smooth air flow. Filters are often a neglected aspect of HVAC system maintenance. Decrepit filters can lower your system’s effectiveness which results in higher energy bills. Filters are a relatively cheap fix and easy installation process that can save you hundreds in the long run. Thermostats can causes great debates within the household. 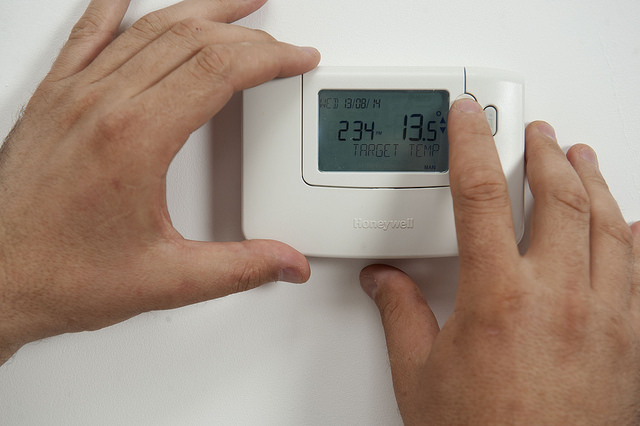 Monitor your thermostat to make sure it produces consistent temperature readings. For winter months, keep in mind that energy costs raise and every degree will add to the costs. A house temperature in the high 60’s is a cost-efficient bet. While these suggestions are essential maintenance suggestions, they cannot address some more complicated HVAC system issue that must be addressed before winter arrives. Consider scheduling a professional maintenance check, as doing so is the only surefire way to ensure your system is primed to handle the long winter months ahead.